April 18, 2012 : Today, a former employee of Computer Sciences Corporation (“CSC”) filed a gender discrimination and harassment lawsuit against CSC. The Complaint, which was filed in Los Angeles County Superior Court (Case No. BC482993), alleges that CSC, a multi-billion dollar company which provides information technology and business services to companies throughout the world, routinely paid women less than men and denied them higher-paying and more prestigious positions. According to the Complaint, CSC has a practice of retaliating against women who complain by demoting or removing them from their positions, withholding their pay, and/or firing them. The plaintiff, Anne Roeser, was a high level executive at CSC, who, according to the Complaint, was subjected to pervasive gender discrimination and harassment by some of the Company’s Indian male executives who did not want to work with women and who openly stated that women should stay at home, take care of their husbands and raise their children. These Indian male executives, the Complaint alleges, were openly hostile to women, they made sexist and derogatory remarks about women (calling them “girl,” “blonde,” and “white woman”), they demeaned the jobs held by women (saying, for example, that one high-level female executive’s job was merely to take clients out to lunch and go shopping with them), they refused to communicate with women about substantive work-related issues, and they behaved toward women in an aggressive, condescending and intimidating manner. According to the Complaint, when Ms. Roeser complained about the gender discrimination and harassment and the illegal conduct in which some of these executives were involved, she was demoted, denied earned wages, otherwise retaliated against, and told to stop complaining. When she continued to complain, she was fired. The Complaint alleges that among other illegal conduct, Ms. Roeser complained that the Company’s off-shore Indian employees engaged in over 6,000 instances of illegally accessing the private health and financial information of the patients of one of the Company’s largest health care clients in violation of HIPAA, the California Confidentiality of Medical Information Act, and the privacy rights of these patients. News broke Tuesday that Nathaniel Claybrooks and Christopher Johnson, two African-American football players from Nashville, are holding a press conference Wednesday to discuss their decision to file a class action lawsuit against ABC’s The Bachelor on behalf of “all persons of color who have applied for the role of The Bachelor or Bachelorette but been denied the equal opportunity for selection on the basis of race.” The players say they plan to target ABC, Bachelor executive producer Mike Fleiss, and the show’s production companies (which include Warner Horizon Television, Next Entertainment, and NZK Productions). EW reached out to entertainment lawyers who specialize in discrimination cases and are based in California (where The Bachelor is filmed) to provide some insight. The lawyers admitted this was an unprecedented case in many ways. “I’ve watched that [area of law] like a hawk, and I haven’t seen a case like this before,” said Jeffrey S. Kravitz of Fox Rothschild LLP. Though facts on the potential case are still uncertain (Claybrooks and Johnson plan to formally file their suit on Wednesday), this kind of case could be a game-changer. Since Claybrooks, Johnson, and their lawyers are based in Tennessee, they have the option to file suit in either California or Tennessee, though Andrew H. Friedman of Helmer & Friedman LLP suggested they’d be better protected in California. That state has a provision called the Unruh Civil Rights Act. “They would definitely have much more legal protection in California than they would in Tennessee,” he said. 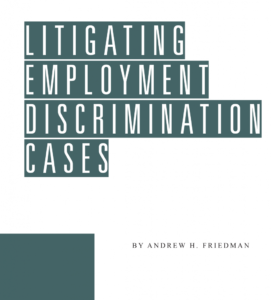 This could include eligibility for emotional distress damages and “possibly punitive damages if the decision to exclude African-Americans were made at a high enough level of the production company.” That’s in addition to the potential economic damages that could be proved, for example, by looking at other Bachelor/Bachelorette contestants and seeing how they parlayed their fame into endorsements deals and further earnings. So how might Claybrooks and Johnson prove their case? That’s where things get interesting. According to Friedman, the plaintiffs could depose former producers on The Bachelor and The Bachelorette and requisition everything from contestant applications to internal production memos during the discovery process. “The entertainment industry isn’t known for necessarily being politically correct in terms of their internal e-mails,” he noted, “so I wouldn’t be surprised — if in fact this was going on — for there to be e-mails” proving as much.